For the second time this year, the owner of a professional basketball team will sell his controlling interest of a franchise after his racially insensitive views were made public. 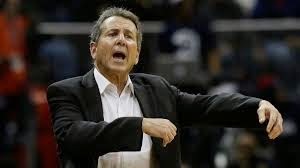 Bruce Levenson, who has led the ownership group of the Atlanta Hawks since 2004, informed N.B.A. Commissioner Adam Silver on Saturday that he intended to sell the team, effectively cutting short a league investigation into an email that Mr. Levenson sent two years ago to fellow Hawks executives detailing his thoughts on how the team could attract more white fans. The situation is another embarrassment for the N.B.A., which is trying to move beyond its protracted conflict with Donald Sterling, who was forced to sell the Los Angeles Clippers this summer after the emergence of an audio recording in which he made disparaging remarks about blacks. It has made vivid again the outlines of racial division that exist in the N.B.A. — particularly among its owners, who are overwhelmingly white, and its players, a majority of whom are black — even as the league has distinguished itself as a leader among American professional sports in confronting diversity issues. That a racial issue came to the fore in Atlanta, long been seen as a center of black culture, is particularly striking. It was Mr. Levenson himself, according to the N.B.A., who made the league aware of the existence of the email two months ago — a fact that raised more questions than it answered as the situation became public on Sunday. It was not clear what motivated Mr. Levenson to self-report, though the disclosure apparently came around the time that Mr. Sterling said he had hired private investigators to dig up information that would show that his behavior was not out of line with that of other N.B.A. owners. David B. Anders of the law firm Wachtell, Lipton, Rosen & Katz was leading the N.B.A.’s investigation of Mr. Levenson, and had the process run its course, Mr. Levenson would almost certainly have faced discipline from the league. Mr. Levenson’s email was sent on the night of Aug. 25, 2012, to Danny Ferry, the team’s general manager, and Ed Peskowitz and Todd Foreman, two members of his ownership group. While commenting on various aspects of team business, Mr. Levenson included a long passage linking the team’s struggles to sell season-ticket packages to its inability to attract white fans and corporations. In bullet points, he observed that 70 percent of the crowd seemed to be black, that the cheerleaders were black, that music played at the arena and at postgame concerts was hip-hop or gospel, and that “there are few fathers and sons at the games.” He also noted that the racial makeup at Hawks games did not match other arenas around the league. It was a contrite Mr. Levenson who issued a statement Sunday recanting the sentiments expressed in that email. Those principles were tested earlier this year when the N.B.A. barred Mr. Sterling from the league, fined him $2.5 million and eventually worked with the other owners to force him to sell the Clippers for $2 billion. Mr. Sterling is pursuing an antitrust lawsuit against the N.B.A. Bobby Samini, one of Mr. Sterling’s lawyers, declined to say Sunday whether he knew of Mr. Levenson’s email before it became public, but he was skeptical that Mr. Levenson had come forward of his own volition. The N.B.A. took issue with suggestions that Levenson was coerced in any way. “Any claim that Mr. Levenson didn’t self-report his email is categorically false,” Michael Bass, a league spokesman, said.